Still have questions? Hopefully some of these frequently asked questions will help. If not, please feel free to contact us using our contact form or emailing info@bandelettes.com. Our intent is to create a product of exceptional value. And we’re positive you’ll love the products and service you receive from Bandelettes®. But if for some reason you are not 100% satisfied, we’ll help make it right or give you a full no-hassle refund within 14 days of purchase. Refund and exchange requests can be processed right here. Do you ship to Canada or other Countries? Do you provide tracking info? We ship Worldwide, including Canada. How long does it take to ship within US? Usually it takes 4-5 business days after orders are shipped. How long does it take to ship to outside the US? Before ordering, please check your country’s customs procedures to calculate your shipping time, as non-US order shipping is out of our control. Note: Tracking numbers normally take approximately 24 hours to be available for tracking. While the package has shipped, there will be no available information on its delivery status until the following business day. How much is shipping to Canada? Or Europe? Our international shipping costs depend on the total number of items in your cart. Canada is a flat $4.99 per order. Our current international rates don’t go above $9.99, regardless of the items or quantity ordered. 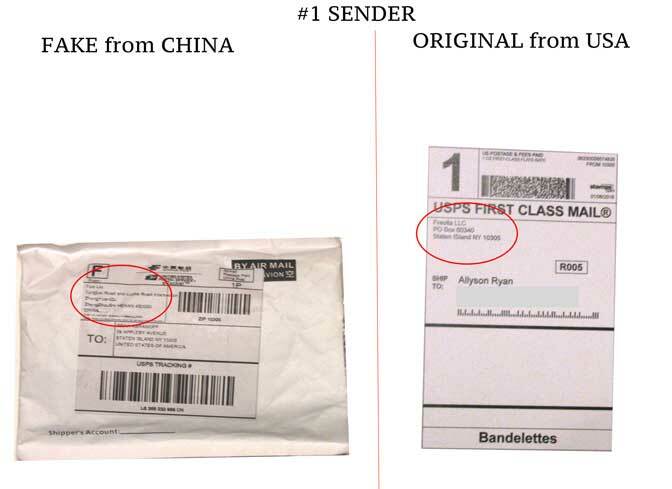 Are there any customs or duty fees for international orders? Yes. There could be additional customs and duty fees. 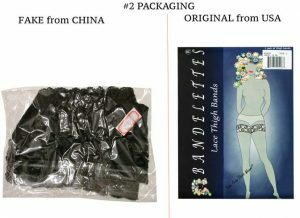 You should check with your country’s customs office to determine what additional costs will be before purchasing Bandelettes. 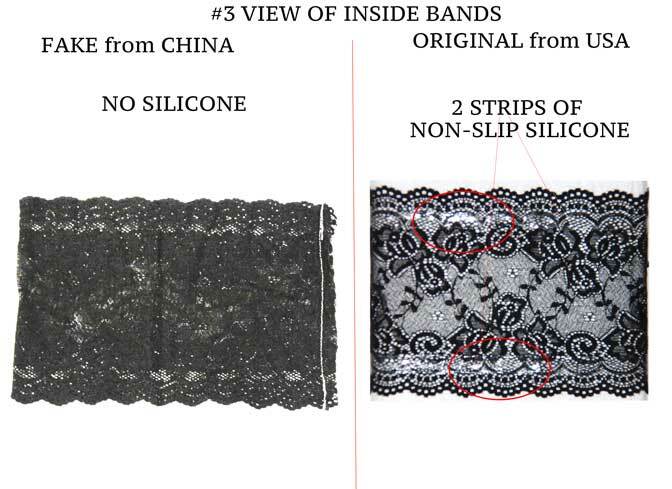 Buying one pair may help you stay within allowed Duty and VAT charges free import amount, depending on the country. Orders over 22 EURO in Europe and orders over 15 GBP in the UK will be subject to customs and duty fees. 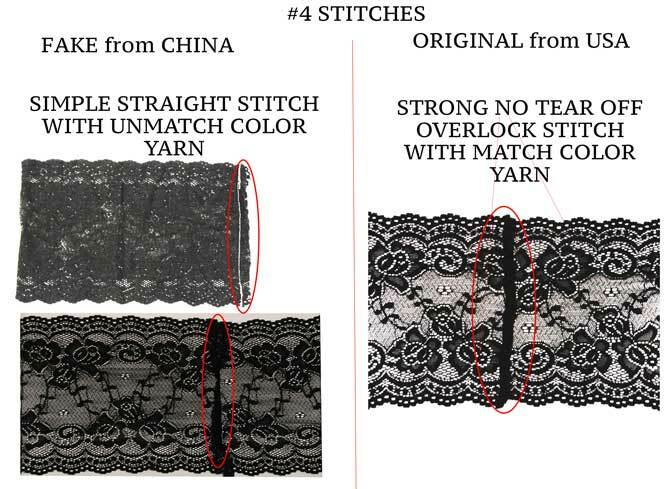 Check out our How To Measure page for tips on ensuring the perfect fit for your Bandelettes. We strongly recommend that first time buyers measure their thighs following the instructions, as the correct fit stops the bands from rolling or slipping. If my measurements fall in between sizes, what size should I choose? We suggest you select the smaller of the two sizes. A snug fit ensures your bands will stay in place and continue to provide protection. Do they roll up or slip off? 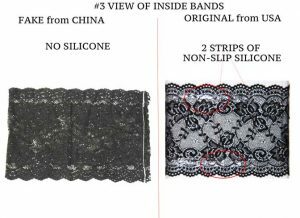 The do not roll up or down or slip off if you’re wearing the correct size. Don’t guess – measure your thighs! 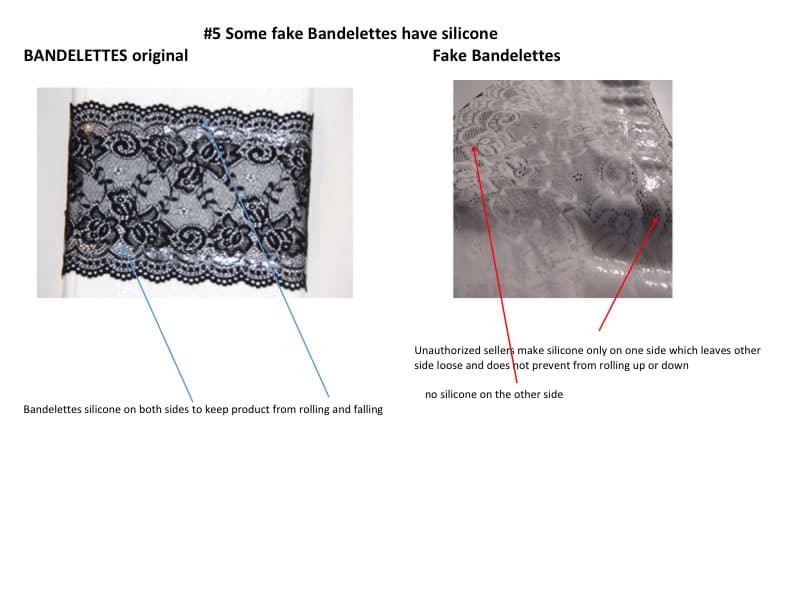 How should I wash Bandelettes® Thigh Bands? Hand wash in cold water with mild detergent and air dry. Check out our returns and exchange page for a full list of our policies! 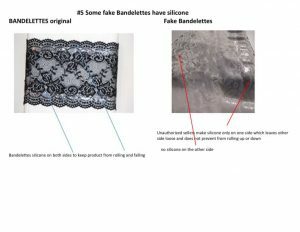 How can I tell if my Bandelettes® Thigh Bands are authentic?